Over the past few months, Chris Brown has been dating rising model, Karrueche “Kae” Tran. Initially thought to be a casual thing, the Virginia singer has expressed his love for her. This is his first serious relationship since he was with Rihanna. With Chris Brown on the comeback trail, he has all of the support, instead of everyone being against him. For most of the ordeal, almost everyone sided with Rihanna. But, now that Brown is back, the people are supporting him. Rihanna had a short relationship with Matt Kemp, a MLB player for the Los Angeles Dodgers. Last year, the two seemed to be getting serious before they broke up. Chris Brown was involved with an older model before they split. 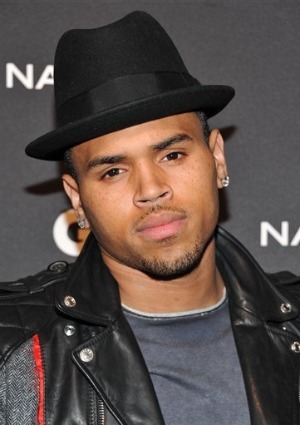 But, with Chris Brown being the first to enter another serious relationship, rumors were going full stream ahead. Rumors have said Chris Brown had proposed to Karrueche “Kae” Tran and the two were engaged. In response to these rumors, Brown visited his Twitter and said the rumors are crazy. Brown denied the engagement without saying the words.